I know there is a little bit of a “don’t ask, don’t tell” policy when it comes to “man bags”. I sometimes suspect that there isn’t a laptop in that slim and sleek laptop case – but wallet, phone, keys…maybe even some lip balm. Your secret is safe with me….as long as I don’t have to wait 30 minutes for you to empty out your blinking cargo pockets at the airport. Here are a couple of “pocket management systems” to get you started. 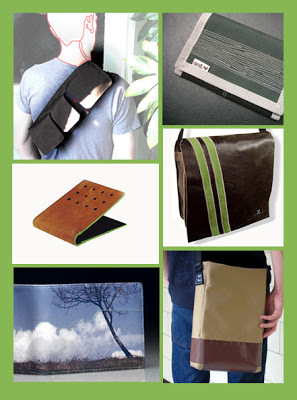 Great bags, I’m getting kind of tired of carrying my wallet around in my back pocket! Yep, that back pocket can get awfully crowded. Thanks for the comment.